Plain aluminum alloy cleans easier, shows scratches less, and better reveals damage. 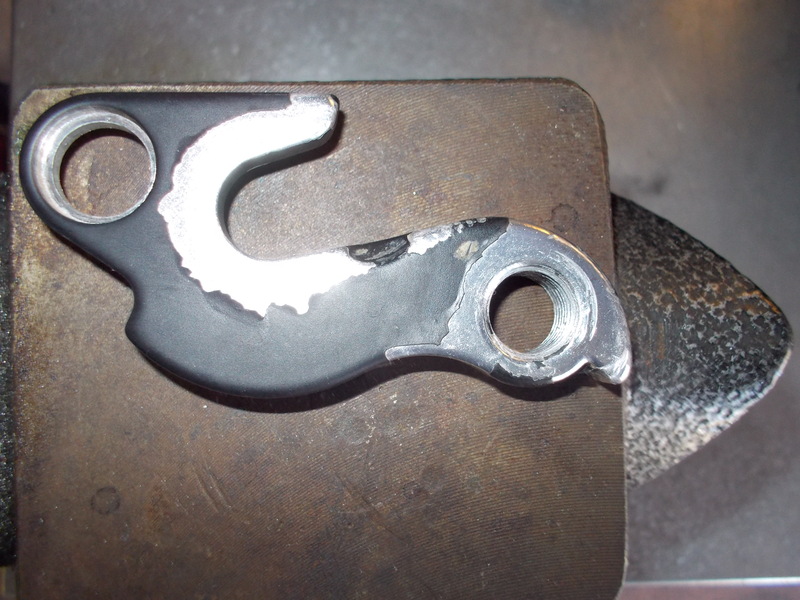 Paint on a derailer hanger causes harm. It blocks inspecting for cracks. It blocks dyeing. Any color on a hanger causes harm. This entry was posted in wrench and tagged derailer on 2013-12-01 by zundel.